Silene capensis is a very rare and sacred flowering perennial herb indigenous to the green river valleys of the eastern cape of South Africa. It is in the Carnation family of plants. This unique ground-dwelling herb is drought tolerant, but generally requires good moisture. It is a cold-hardy plant and very easy to grow! Historically it is regarded by Xhosa diviners to have great spiritual and medicinal value, for it's ability to induce remarkably colorful and meaningful dreams. The Xhosa shamans call the use of this plant, 'the white ways path', so named because the plant's brilliant white flowers. These fragrant flowers are only open at night, befitting for the plant's use as a dream herb or oneirogen. The Xhosa shamans would traditionally grind the roots into a powder that they would make cold water tea out of. They would drink this tea on an empty stomach before going to sleep in an attempt to receive answers and spiritual guidance in the dreamscape. It's best to wait two years before harvesting the root of the plant for spiritual or medicinal use. When planting be sure to provide adequate room for root growth. Plants are fairly cold hardy and are suitable for containers. Trimming the tops will promote root growth. 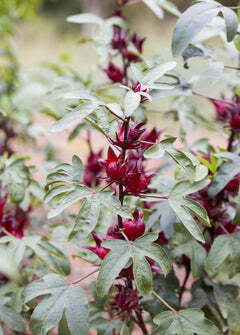 Mature Size: African Dream Herb grows in a small to medium sized, low-lying habit and will reach up to 2 ft. Climate Zones: USDA plant hardiness to Zone 7-10.